Nepal is one of the poorest countries in the world but many tourists go here every year because this is where you will find the famous Mt. Everest. 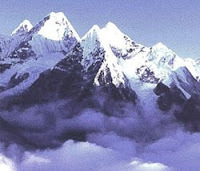 It’s one of the ultimate dream of a mountain climber to climb this famous and deadly icy mountain. Many have died here but many have reached the highest part of the world successfully and made it all the way down as well. Believe it or not, the people here are living and surviving at just $2 per day wages. Yes, that’s just $2 per day and over 80% of the population here only earns that much. Think about relocating here after retirement? Your money will definitely go a long way! You can enjoy their lifestyle and traditions here. Their culture is fascinating and you’d be amazed at how friendly their locals are. They will treat you like family and they’d even offer you their finest because you are considered as a guest even if they don’t really have a clue who you are. As of the moment, travelling to Nepal is a bit risky. There is even a travel warning from the Department of State in the U.S. because of the security situation in Nepal. It is best to let the commotion cease first before you decide on visiting Nepal or climbing the Mt. Everest. But whenever you get to visit Nepal, you’ll be amazed at their picturesque destinations here such as Pokhara where you can enjoy the beautiful Mountain View as well as the beautiful lakeside view. It’s peaceful here and you can also have some trekking expeditions here as well.